High quality optics at a cheap price. …Which has a build and image quality that is far from cheap. And in this Canon EF 50mm f1 8 STM review, we’re gonna take a look into just why this inexpensive little lens is the top selling lens on the market… and whether it’s the right lens to add to your camera bag. The Canon 50mm f1 8 STM was preceded first by the EF 50 mm f/1.8 in 1987 but which was on the market for a very short period of time – it was quickly replaced by the EF 50 mm f/1.8 II. The first one had a metal mount while they slapped a plastic one on the EF 50 mm f/1.8 II. The EF 50 mm f/1.8 II was a “plastic fantastic” – but unfortunately without the fantastic part. Its image quality was good enough but it was notoriously slow and inaccurate to focus when you put it to the test. …Enter the Canon 50mm f1 8 STM. The Canon 50mm f1 8 STM has a barrel made of plastic and as mentioned previously, a metal mount – a big upgrade from the previous version which had a plastic mount as well as the body. I have no problem with manufacturers using plastic for lens barrels but using plastic mounts is just kind of asking for trouble down the line. The plastic barrel of the Canon 50mm f1 8 STM has a smooth texture and feels plenty durable. It does not feel like a cheap plasticky flimsy toy; you really feel like you’re getting a professional piece of gear with this lens. It has an autofocus/manual focus switch that locks in place nicely. Then it has a manual focus override ring – which is far narrower than I’d prefer but it gets the job done. It does not have a distance scale. The lens is NOT weather sealed. For the affordable price of this Canon 50mm 1.8, you get a very well-built lens. With dimensions of 2.72 x 2.72 x 1.54 inches, it has a very low profile; it’s one of the smallest Canon lenses out there. The only smaller ones are pancake lenses. In terms of other options out there for 50mm Canon lenses, the Canon 50mm f1 8 STM wins hands-down in size. The Canon 50mm 1.4 is quite a bit bigger and the 1.2 is a veritable behemoth. I’ve talked about weight and size being an important factor when deciding on lenses to add to your kit quite often so I probably sound like a broken record but I think it bears repeating that the size/weight of your lenses probably has a huge impact on how often you’ll use it. I know for me that’s certainly the case. At just .35 pounds, this Canon 50mm f1 8 is light and nimble. Compare that to the weight of the 1.4 at .64 pounds and the Canon 50mm f1 8 STM wins out again, at almost half the weight. THEN compare it to the enormous 1.2 50mm lens by Canon, which weighs in at a whopping/offensive 1.28 pounds! Now, on paper that might not sound like much, but when you’re out shooting it makes a HUGE difference. If you value being able to move around with ease and not having pain in your back/shoulders/hands then this Canon 50 1.8 is THE best option for Canon shooters. As far as sharpness goes, this lens performs really well. Even wide open, the corners are only slightly softer than what you get in the center of the frame. When it gets real good is when you stop down to f/4 and smaller. Between about f/4 and f/11, this Canon 50mm f1 8 lens is pretty much as sharp as you’ll ever need. I practically never shoot at f/16 and higher but it’s worth noting that at f/16 and f/22, sharpness suffers due to diffraction, a negative effect that happens as a result of light “diffracting” or dispersing when it passes through a small opening. But overall, the Canon 50mm f1 8 STM is a very solid performer in terms of sharpness. Not a ton to report here – you’ll get some chromatic aberration around the edges in high contrast areas every once in a while but nothing major. It rarely gets to the level where it’s noticeable without pixel peeping. It’s pretty much the exact same as the lens that came before this one. Canon’s Super Spectra Coatings have been applied to the Canon 50mm f1 8 lens, and it’s nothing spectacular but does do a decent job of reducing flare. When you include the sun in your frame, you will get some weird, jellyfish-looking ghosting occasionally. One thing it does nicely is sun stars – with its odd number of aperture blades and stopped down a bit, you can get some charming sun stars with this lens. Vignetting of the Canon 50mm f1 8 STM is SUPER noticeable wide open. Redonkulous levels of vignetting, really. Time constraints: correcting for vignetting is by no means a long or difficult process. You can do it with the click of a button these days. But when you post-process a lot of images, that time can really add up. Degradation of image quality: Any time you make an adjustment to an image in Lightroom, Photoshop or whatever program you use for editing your images, you’re degrading the quality of the image file. Even though correcting for vignetting isn’t a big deal, we still want to avoid loss of image quality as much as possible. For me at least, this isn’t a huge deal because I actually like vignetting in certain cases and frequently increase vignetting in post. I also rarely shoot completely wide open save for very specific circumstances. That’s just me though – you have to take into account whether it’s your style/if it’s a deal breaker for you. The autofocus performance of the Canon 50mm f1 8 STM is a GINORMOUS improvement over its predecessor. The older version did very poorly in low light and would hunt back and forth, not able to acquire focus. Speed suffers if the lens hunts endlessly for where you want it to focus, right? …and the Canon 50mm f1 8 STM does a very respectable job locking on to your subjects and focusing in quickly. It’s not warp speed fast but it’s plenty fast for photographers who shoot moving subjects; for wedding photography, sports photography or just photographing your family/friends/kids, you can rely on this Canon EF 50mm to keep up with it. It’s also a nice upgrade that the lens has an internally-focusing and silent autofocus motor. The old lens sounded like a robot from an 80s movie. It’s soft, circular and creamy. …Which is a big step up from the II version of the lens, which produced somewhat garish/distracting bokeh that wasn’t very rounded – it had sharp edges and its bokeh balls were pentagon-shaped. 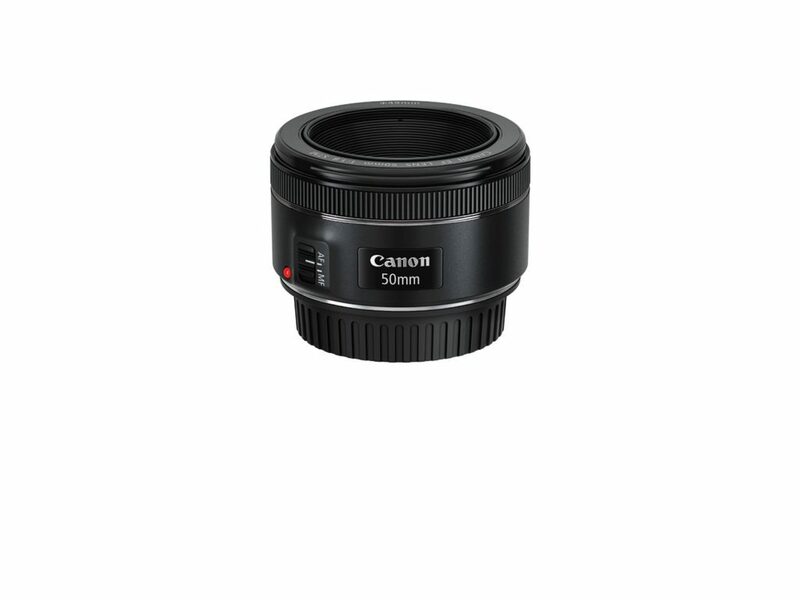 That’s due to the older lens having only 5 aperture blades – the Canon 50mm f1 8 STM has 7. As far as lenses in this price range, you’re really not going to find many lenses that produce better bokeh. Who would I recommend the Canon 50mm f1 8 STM to? First off, I think that EVERY photographer should have a 50mm lens in their kit. Every photographer has their favorite focal length. …And mine is NOT 50mm – I’m more inspired by 35mm and 28mm focal length lenses. But I’d prefer to always have a 50mm focal length lens in my bag when doing commercial work. The usefulness and versatility of the 50mm focal length is just too good not to have at your disposal when you need it. There are multiple famous photographers who have done practically all their work with a 50mm. You could build a body of work over a lifetime using just a 50mm lens. 50mm is just wide enough to not have a lot of compression (which can be a good or bad thing depending on what look you’re going for) and still of a fairly personal perspective. But the cool thing is, at the same time, by using wider apertures you can still through the background out of focus, something that 35mm lenses and wider do not do a very good job of. This lens will serve portrait photographers very well, as it’s tack sharp when stopped down a bit and produces good image quality. 50mm is great to have in your kit, as 35mm is unflattering to your subjects and 85mm lenses are fantastic for portraiture but you have to back up pretty far from your subjects with 85s and it’s not always the case that you have that space. The 50mm focal length is not usually the go-to focal length for the majority of sports, but it really comes in handy when you’re positioned from the action at a distance suited to 50mm. The wide 1.8 aperture is nice to have, as it helps you get to that 1/250th of a second you need to minimum to freeze fast action. Perfect for when you need to need to take portraits of the bride/groom in tight spaces. Also great for shooting the ceremony when you want more distance from your subjects than you need with a 35. I love 50mm lenses for shooting details/decorations too. You can literally shoot an entire wedding with just this one lens no problem. For Canon wedding shooters, I think this is the best 50mm option out there. Sure, you can shoot in lower light with the 1.2 and it produces slightly better image quality. But its autofocus is not as responsive as the Canon 50mm 1.8 plus it’s enormous and heavy, not to mention almost TEN times more expensive. …And even if there wasn’t such a huge price gap between the two, your back and shoulders will thank you for going with the Canon 50mm f1 8 STM after entire days of intense shooting. With landscape photography, you should have as many focal lengths covered as possible. This lens provides that and good sharpness for landscape photography. It’s also really light and small, perfect for those long treks to get on location. While I highly recommend getting away from DSLRs to do your street photography and go for a much smaller/discreet package, the Canon 50mm f1 8 is just about as small as you can get for DSLR cameras, only beaten in size by the pancake lenses. Like shooting pictures of your kids playing or of family get-togethers? 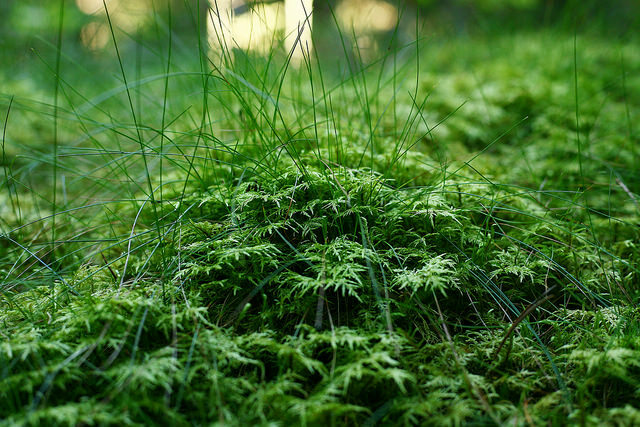 Like photographing a little bit of everything around you? The Canon 50mm f1 8 STM is perfect as an everyday lens for shooting your everyday life. While there are certainly other lenses out there with fancier specs and all the bells and whistles, the Canon 50mm f1 8 STM has really solidified its spot within the Canon lineup as a quality lens. Its minimal size/weight alone make it a very attractive lens. And it’s a very respectable performer in terms of image quality. Couple all that with an extremely affordable price tag and you have a real winner. …So has the Canon 50mm f1 8 STM lens earned its status as the world’s most highly sold lens on the market? Do you own the Canon 50mm f1 8 STM or are you thinking about buying it? Leave a comment below with your experience of the lens or whether you’re on the fence about buying it.